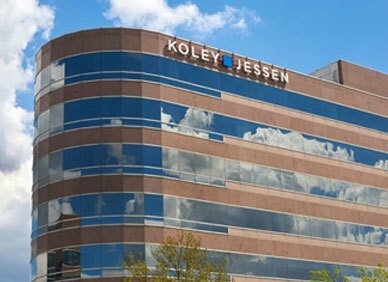 Koley Jessen is excited to announce that Eric Buske has joined the firm’s award-winning mergers & acquisitions team. Eric, an Omaha native, guides clients through mergers and acquisitions, divestitures, recapitalizations, restructurings and equity and debt financings. He began his career in Chicago as a corporate associate at Kirkland & Ellis LLP, where he primarily represented private equity sponsors and strategic acquirers in complex business transactions. Eric has worked with clients on matters ranging in size from less than $1 million to over $10 billion. Eric also counsels clients on a range of commercial agreements and general corporate matters, including governance. Prior to joining Koley, Eric was the Assistant General Counsel for Athletico Physical Therapy, where he was responsible for transactional and corporate matters, including acquisitions, while gaining a valuable understanding of legal issues from a client’s perspective.